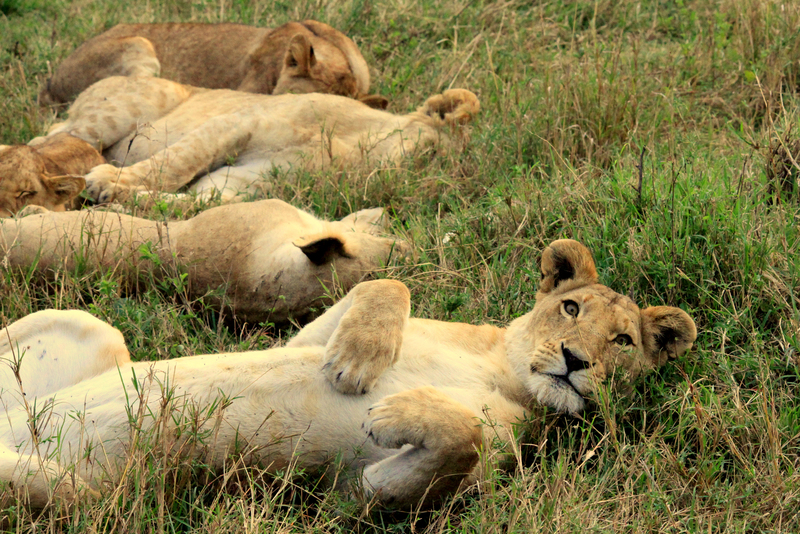 Catch a glimpse of lions while at Mahali Mzuri. There’s something about seeing animals in their natural environment that offers huge appeal. Maybe it’s witnessing their instinctive interactions with other animals, or even just seeing them roam freely (a basic animal right, if you ask me); either way an African safari is a great way to get up close and personal with the action. 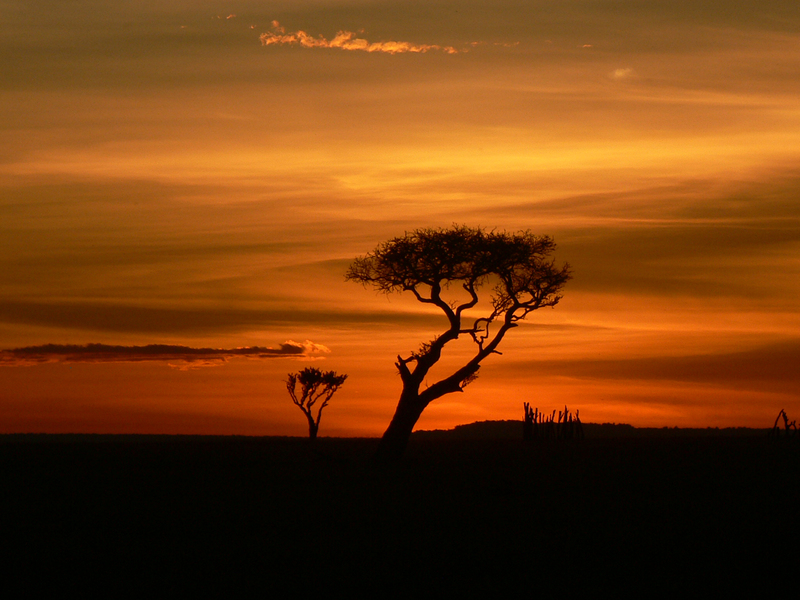 The sunset at Mahali Mzuri. Sir Richard Branson’s Kenyan Safari Camp, Mahali Mzuri, offers the perfect setting for watching wildlife in its natural environment. Located in the exclusive Olare Motorogi Private Conservancy, the safari camp is part of Virgin Limited Edition’s award-winning collection of distinctive retreats—each chosen for its exceptional beauty and unparalleled surroundings. Other retreats in the collection include Necker Island in the Caribbean’s British Virgin Islands; Ulusaba Private Game Reserve in South Africa; The Roof Gardens in London; Kasbah Tamadot in Morocco; The Lodge in Verbier, Switzerland; Necker Belle, a 105-foot luxury catamaran; and Mont Rochelle in South Africa. In addition to luxury accommodations, each of these retreats also features a sense of fun (in keeping with Branson’s reputation) and matchless personal service. 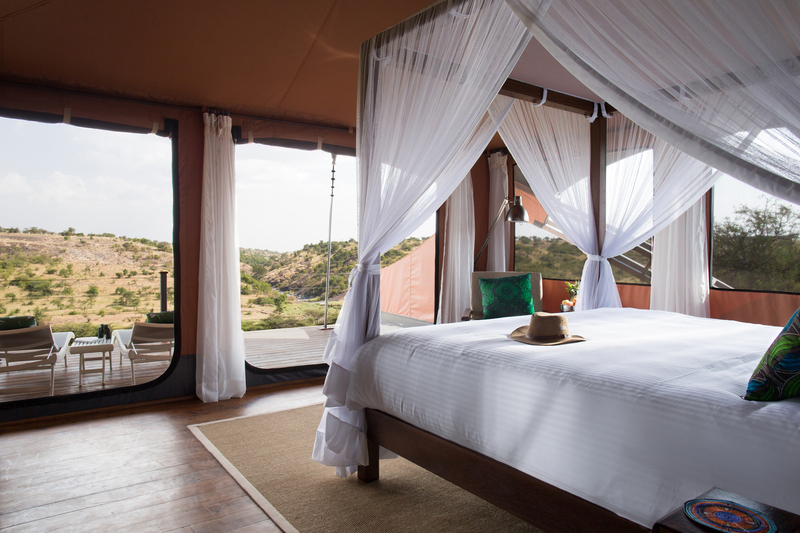 The 12 tented suites at Mahali Mzuri offer the utmost in luxury. 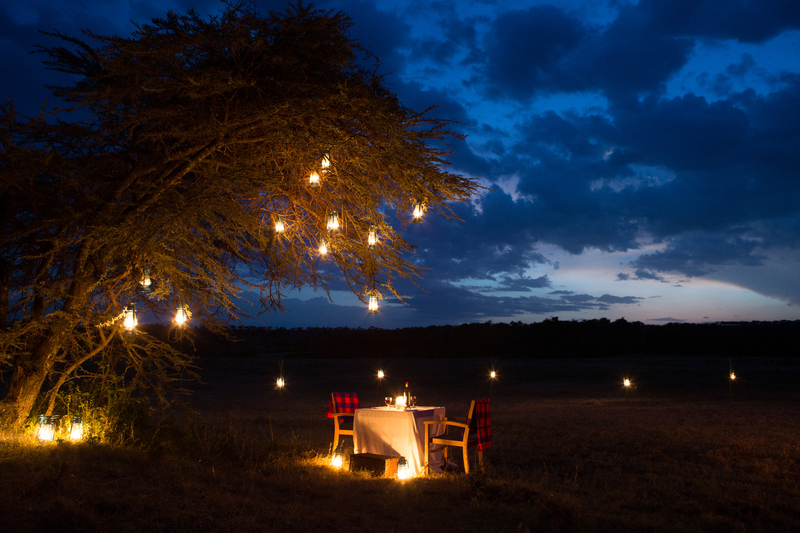 Mahali Mzuri offers 12 tented suites, each accommodating a maximum of two guests at any one time. Each of the luxury suites sits on a raised platform and each includes a spacious bedroom, an en-suite bathroom, a sitting area and a large deck with views over the landscape. Here, you’ll be able to see some of Kenya’s most diverse and intriguing wildlife—whether from your tented suite, on a guided game drive or while relaxing by the outdoor infinity pool. And, if you visit between July and October, you can even witness the Great Migration—known as one of the Seven New Wonders of the World, thanks to the large populations of zebra, gazelle, wildebeest, lions, leopards and cheetahs trekking to and from the Serengeti during this time. Dine under the stars while you’re there! Dining options also abound at the camp. Whether you’re partaking in a bush barbecue, a Champagne picnic or a sundowner, you’ll experience some of the best African and international cuisine available—all made with locally sourced produce and spices. All meals and beverages (including fine Champagne and alcohol) are included in your stay. And, the team at Mahali Mzuri will even accommodate special dietary requirements with advance notification. 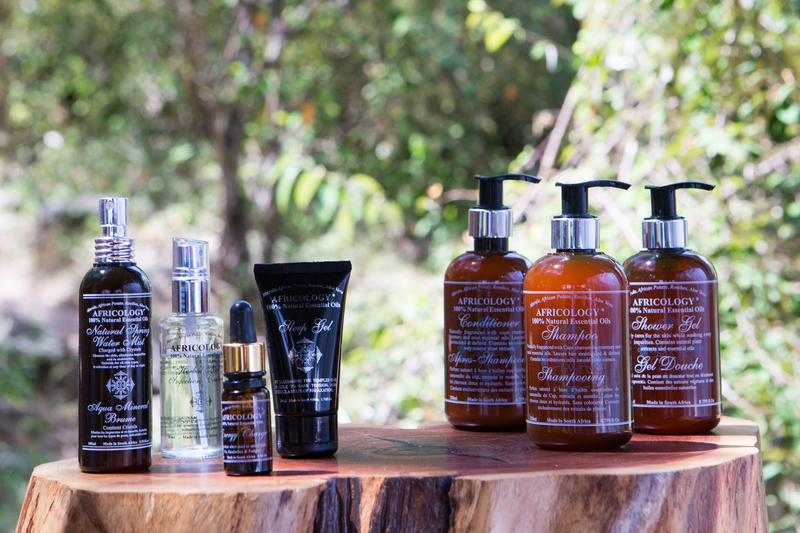 Nasaro spa uses Africology ethical skin care products. There’s also the Nasaro spa, offering everything from facials and mani/pedis to full body exfoliation and massages (try the Orinka stick massage, which destresses and detoxifies with the use of different sized wooden sticks). The safari camp, which is celebrating its first anniversary this year, is offering a special free night when you stay three or more nights until December 2014. Rates are $1,045 during the high season (July 1-Oct. 19), $890 during the mid season (Oct. 20-Nov. 20 and Jan. 3-March 31) and $620 during the low season (April 1-June 30 and Nov.21-Dec. 21). All rates are per person, per night (based on shared double occupancy, including all meals, beverages, game drives, and transfers to and from the nearest airstrip). The Sleeper Scarf comes in a variety of colors, making sleeping-on-the-go a bit of a fashion statement. On another note, I just found out about this nifty Sleeper Scarf, and I wanted to highlight it for any gals out there who may want a fashionable alternative to those unsightly travel pillows—or, Heaven forbid, one of those pillow wedges available in SkyMall. Don’t get me wrong: I still love that magazine! This chic travel accessory allows you to sleep stylishly with an inflatable neck pillow built right inside the scarf. It only takes a few breaths to inflate, and it deflates with the push of a button. The pillow is also removable, making the scarf perfect for everyday wear as well. It’s available in black, gray, turquoise and pink. 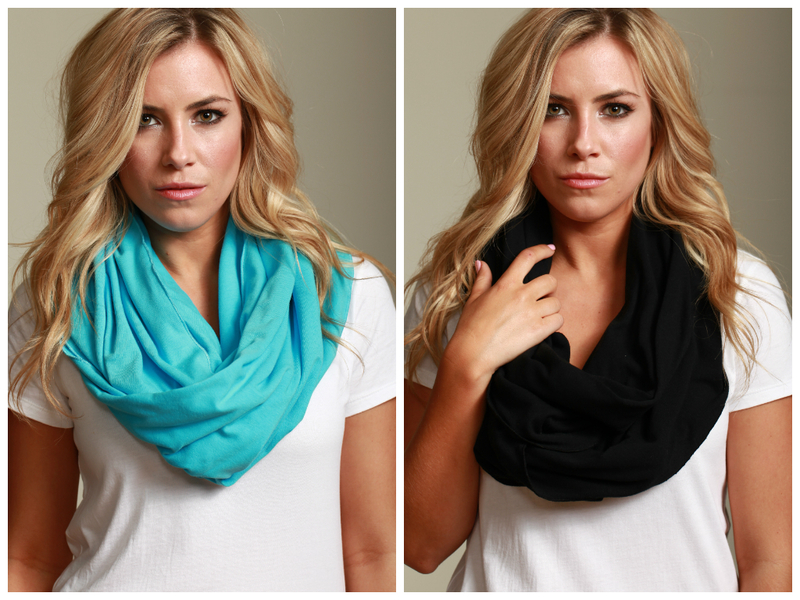 Each costs $65—or you can order two scarves for $99, three scarves for $129 or all four colors for $159.